i. The head of department responsible for departmental administrative issues on day to day basis. ii. Responsible for ensuring the performance of all water supply and sewerage systems according to agreed performance and public health standards. iii. 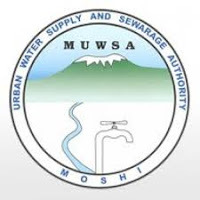 Responsible for maintaining and repairing, planning and construction and water network activities of the Authority. • The control of water quality. • The operation and maintenance of all water sources (boreholes/springs/rivers) and water chlorination works and water network. • The operation and maintenance of sewerage system and sewage treatment. • The operation and maintenance of all plants and equipment used in running water and sewerage systems. • The setting of physical and financial performance targets in conjunction with Managers. vi. Prepare annual budgets and manpower plans for the Technical Department. vii. Ensuring planning of urban water development projects to ensure that operation, maintenance and quality requirements are taken into account. viii. Consult with the Human Resource department over the identification of manpower recruitment and training requirements of the Technical Department and regarding the preparation and implementation of the manpower recruitment and training plans. ix. Regularly review actual performance against approved plans and budgets and submit reports to the Managing Director detailing performance with recommendations for actions necessary to correct adverse variance. x. Ensuring that corrective measures are implemented. xi. Ensure that water production and sewerage standards and safety procedures are complied with. xii. Ensure that there is proper and economic use of the Authority's plants, equipment, vehicles and workshops. Should be registered with Professional Engineering body as Professional Engineer as well as having more than seven years of relevant working experience,of which five years must be in management position. Should have a background in water utility or related engineering aspects as well as have analytical skills, broad minded, creative, and unquestionable integrity. Minimum of seven (7) years in the same field from reputable organization and 5 of them in the managerial position. Handwritten application along with Curriculum Vitae to include reliable contacts (emails and day time working telephone), applicant's recent passport size and copies of all relevant certificates and transcripts, and names and addresses of at least three (3) reputable referees, to reach the undersigned by 14th May 2018 at 1600 hours. Applicants who will not be contacted should regard themselves as unsuccessful.